I finally attempted the curry for dinner last week and couldn’t believe how dangerously easy it is to create the fabulous Malaysian flavours at home. Malaysian roti parathas are available in the frozen section at Asian grocery stores and if you haven’t tried them yet, you are missing out. Sharon has very generously allowed me to share her recipe with all of you through my blog. Thank you, Sharon! Blend the chillies, ginger, garlic, lemongrass, shallots and macadamia nuts with a little water to make a smooth spice paste. Heat 2 tablespoons of oil and fry the blended paste until the oil separates. Stir in the chicken and coat with the spice paste. Add coconut milk, tomato and turmeric. Stir well and cook until the chicken is tender. Add in the boiled potatoes and season with salt and sugar. 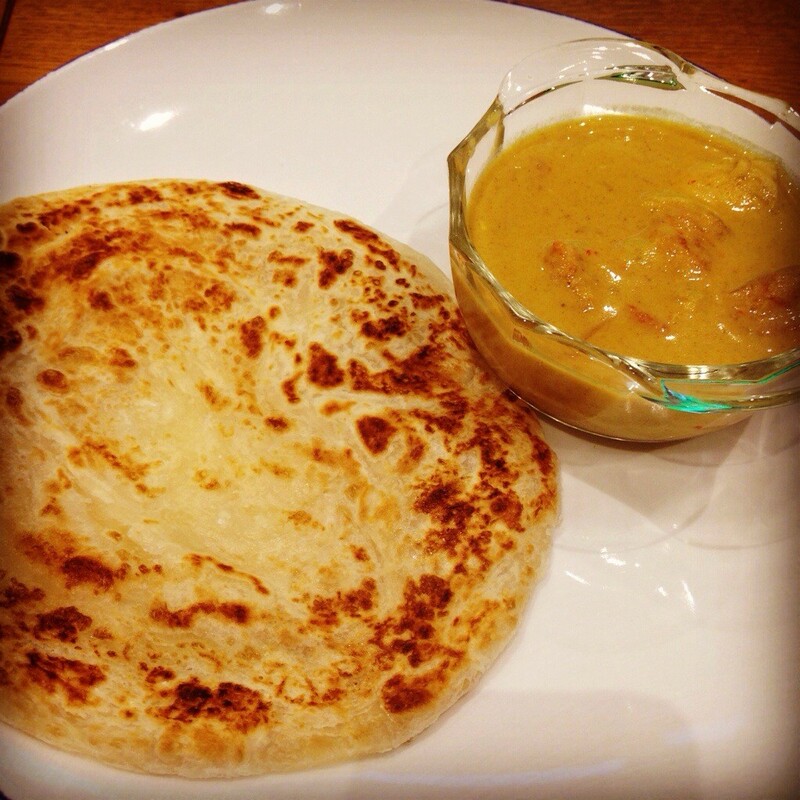 The curry is best served with Malaysian roti parathas (available in the frozen section at Asian stores). Wow! It looks great! vegetarian option? Thank you! You can use tofu, carrots, and any other vegetables you like for a vegetarian option.